I was talking to a friend in Hong Kong yesterday and he mentioned that it was the first day of Spring Training. Whenever someone talks about Spring Training, I cannot help but think of a wonderful Roger Angell essay, “The old folks behind home,” first published in the New Yorker in 1962 and re-published in Angell’s collection of baseball essays, The Summer Game. Angell’s is a wonderful essay that describes the adagio pace of spring training as it once was, games played in front of sparse crowds, fans -many of them retirees rich in their knowledge of the game – and players mingling in casual proximity as if in the produce section at a local supermarket. I love this essay and read it every March, for this is how I remember Spring training as well. How different is spring training nowadays. Most games are sold-out, attracting crowds in some parks that would equal crowds during the regular season. A crowd of 15,000 for a Grapefruit League contest, for example, would have been unheard of when I was a kid but it is routine today. As the attendance figures have escalated, so have the ticket prices. 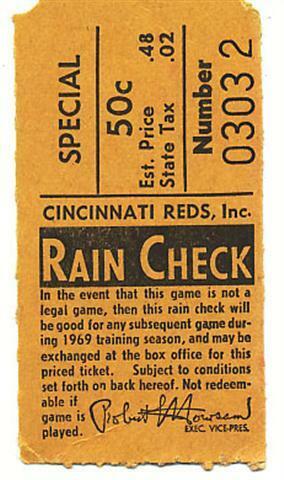 In the 1960s a spring training ticket cost $ 0.50. Today when I looked on EBAY there were over 5000 listings for tickets and the going price seemed to be about $ 25.00. Regrettably, the Grapefruit and Cactus Leagues are no longer names that resonate as teams are wont to schedule some spring training games in their regular season ballparks or even abroad. It is not uncommon nowadays for teams to play an exhibition game in Tokyo, of all places. Worst of all, teams have fantasy camps to go along with the big-league camp which means that at some point during the spring you have to suffer images of your boyhood idols wearing anachronistic polyester uniforms that do not conceal the comestible excesses of retirement. In essence Spring Training has become every bit as bad the regular season. The only difference is that games don’t count in the standings. Who knows that will probably change soon as well. The big story in baseball today is that Texas Rangers Manager Ron Washington tested positive for cocaine last year. The bigger news, to me at least, is that the Rangers are standing by Washington and allowing him to keep his job. This is a reprehensible stance on the part of the Rangers management. Just a few days ago an American couple who worked at the US Embassy in Mexico were brutally gunned down as they returned home from a child’s birthday party. Their own 1-year-old child, in the back seat of the car, was unhurt but there was a profoundly tragic image of a Mexican policeman holding the child as his colleagues went through the bullet riddled SUV. The violent mexican drug wars that the media have been reporting recently are the direct result of an insatiable US demand for Cocaine among other drugs. This is acknowledged by both the US and Mexican governments. In a sense then it is recreational Cocaine users like Ron Washington who are indirectly responsible for the murder of the US diplomat and her husband. For they are the ones creating the demand. Not only is it absurd to allow Washington to keep his job after he tested positive for Cocaine ( he is after all a manager and managers are not supposed to fail drug tests), but given the fact that the spate in drug related violence is happening on the Texas-Mexico border one would expect the Rangers management would have terminated Washington’s contract immediately, if for no other reason than to send a message to their own community that they do not condone any activity that has led, even indirectly, to the deaths of thousands of innocent Mexican and American citizens since the drug wars began in 2006. A final thought on this post: I wonder what the Rangers’s first ever manager would say about all this were he still alive. 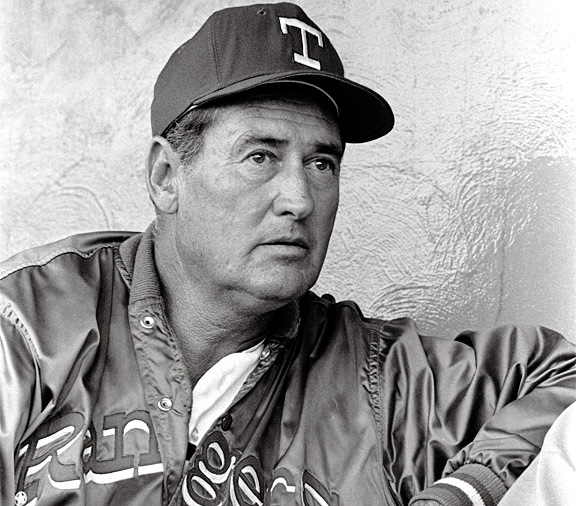 That would be Ted Williams of course.